Welcome to Day #4 Chocolate and Flowers Theme Week. 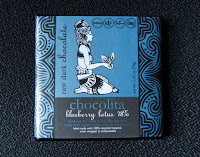 Today's Blueberry Lotus 78% bar was handcrafted by Chocolita (Sedona, AZ). 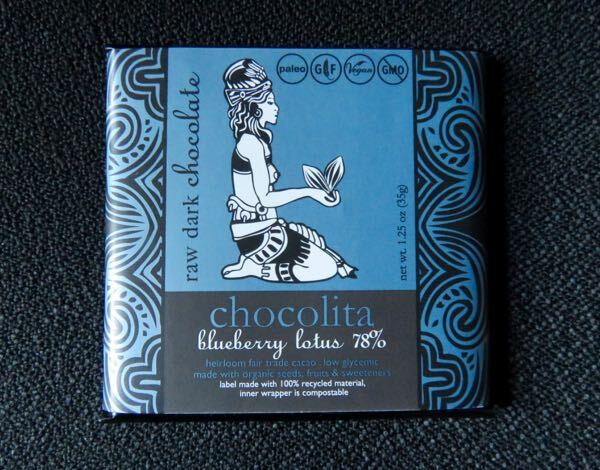 The company, founded by Sarah Ann Lesslie, offers an interesting line of raw chocolate bars, some with exotic, botanical or floral ingredients. 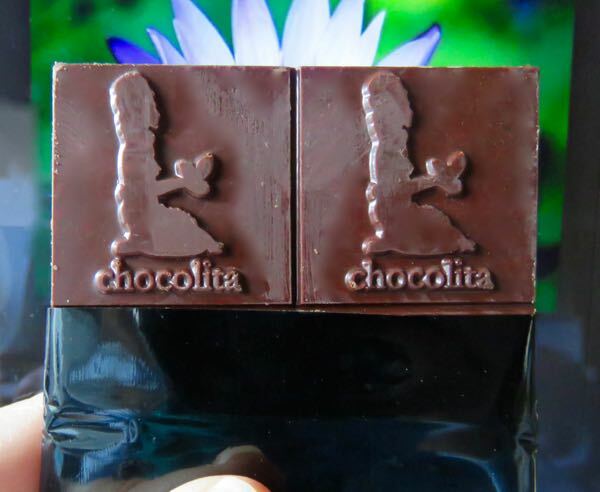 This attractively packaged, gluten free and vegan dark chocolate bar was made with heirloom Arriba Nacional, fair trade cacao from Ecuador and other organic ingredients* including kava and blue lotus essential oil. The pleasant coconut sugar + chocolate flavor lasted most of the tasting experience. (There was a hint of earthy blueberry and a delayed herb/very slightly bitter plant aftertaste that kicked in several seconds after. That is the trade-off with some novelty inclusions. Fortunately, chocolate blends well with most mix-ins. 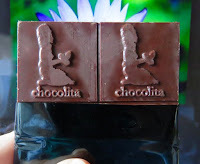 If you're interested in chocolate history and about the gods and goddesses who were often associated with cacao in the Americas, visit Chocolita's website. Scroll down on Chocolita's "About" page for a nice summary.